Are you one of the many adults who experience white spots on the surface of their teeth? Or maybe you are a parent concerned about the same on your child’s smile. If so, you’re probably wondering why white spots appear — and if there is anything you can do to make them go away. The answer is: it depends, and yes! Keep reading, because your dentist in Orange Park has more information on those pesky white spots below. What Causes White Spots on Tooth Enamel? There are a number of factors that can cause discoloration of the tooth enamel, especially lighter areas that look like white spots or lines. The most common is fluorosis, which occurs due to overexposure of the mineral fluoride during childhood. Fluoride is present in most toothpastes, mouthwashes, and even tap water sources throughout the United States. In the right doses, it strengthens the tooth enamel to help guard against tooth decay. But if children receive too much white their tooth enamel is still developing, white spots may be visible once the permanent teeth erupt. Another reason bleached or white areas may appear is as a result of demineralization caused by insufficient oral hygiene. When plaque turns to tartar and stays on the surface of your teeth for months or years without being removed, important minerals are gradually leached from your tooth enamel. This is common in patients who wear fixed braces, as it may be difficult to brush and floss properly around the brackets and wires. Additionally, people who have celiac disease may experience visible white spots on the surface of the teeth due to nutrient deficiencies during childhood and/or adulthood. In fact, the majority of people with this condition will experience discolored tooth enamel as a result. Can Your Dentist Make Them Go Away? If you are ready to say goodbye to those visible white spots on the surface of your teeth, we have good news. Your cosmetic dentist can help! The appropriate treatment will depend on the severity of the discoloration as well as your personal smile goals. If your white spots are due to plaque and tartar buildup, you may just need a thorough cleaning and improved dental hygiene practices at home. However, if the discoloration is the result of overexposure to fluoride or celiac disease, you may need a cosmetic solution. 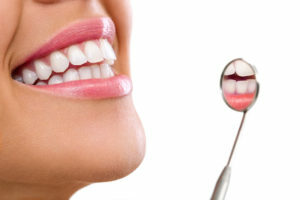 Dental bonding is a non-invasive procedure in which your dentist uses a biocompatible composite resin to reshape the appearance of imperfect tooth enamel — including covering up white spots. For more significant damage or for patients who wish for a dramatic transformation, porcelain veneers offer wonderful results. No matter which treatment is right for you, you can feel confident when you partner with your trusted dentist in Orange Park! Don’t wait to get started improving the appearance of your smile by saying goodbye to those white spots in 2018. Dr. Matthew Nawrocki is a general dentist offering comprehensive dental care from the comfort of a state-of-the-art office. To learn more about his services or to schedule an appointment to discuss any imperfection affecting your smile, we invite you to contact the office by calling 904-272-1588.